Altaire Clinic would like to introduce another great laser treatment in Fargo, ND. Safe for all skin types and any area of the body, the PicoSure FOCUS laser skin treatment is used to improve a variety of skin conditions, from brown spots, sun damage and freckles, to pigmented lesions, wrinkles, and acne scars. The nonsurgical, noninvasive treatment sends pulses of laser light into your skin’s sub-layers, treating the aging support structure. Then the body’s natural healing process eliminates older, damaged tissue and restores it with new collagen and elastin – the vital components of smooth, youthful-looking skin. Please keep in mind that each patient is unique and your results may vary. PicoSure represents the cutting edge of a type of laser technology known as short-pulse lasers. These lasers are designed to “flash” incredibly quickly, in PicoSure’s case in trillionths of a second. This rapid flashing minimizes the amount of heat and creates a photomechanical effect that’s highly effective in removing tattoo ink and unwanted pigment. How do I know if PicoSure is the right skin revitalization treatment for me? PicoSure is the most versatile short-pulse laser in the world, allowing it to treat a wide variety of pigment conditions as well as acne scars and wrinkles. While other aesthetic products and lasers can treat similar conditions, PicoSure is the only way to achieve great results without the pain, redness and downtime. Most people experience very little discomfort and describe skin revitalization treatments as feeling like the snapping of a rubber band. At Altaire Clinic, your provider will be able to offer topical numbing cream or Pro-Nox to minimize discomfort. Procedure time depends on the size of the area to be treated, and 15-30 minutes is common for average sized skin revitalization treatments. Do I have to avoid the sun before and after treatments? The sun exposes the skin to harmful radiation. To protect itself, the body produces extra melanin, causing the skin to tan. Since PicoSure targets melanin to remove excess pigment, a heavy tan may interfere with treatment. 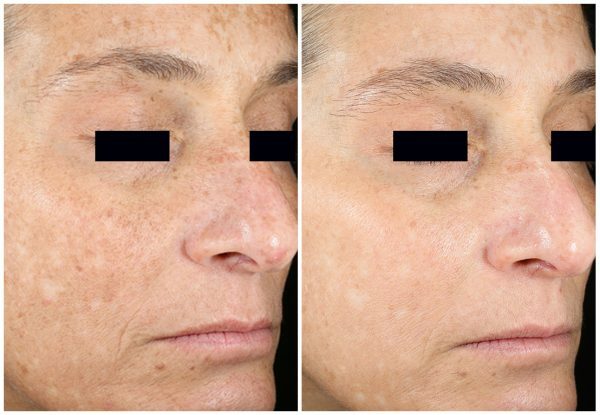 After laser treatments for removal of unwanted pigment, the skin is more vulnerable to sunlight so minimizing sun exposure and use of sunscreen of SPF30+ is recommended. The number of PicoSure treatments for unwanted pigmentation will vary depending on the condition being treated and how each individual responds. The number of treatments for skin revitalization is largely dependent on the clinical condition being addressed, but 2-5 treatments are common. At Altaire Clinic, your provider will work with you to provide a personalized plan. Skin revitalization treatment results are long lasting, but some pigment conditions can be recurrent. Some patients find that a PicoSure Focus treatment every six months can help prevent accumulation of pigment and slow the appearance of wrinkles. Recovery times are dependent on the condition being treated and each patient’s ability to heal. Your face will look red and inflamed for about 24 hours after the procedure. You are able to wear make up the next day. Will this help treat my Melasma? The PicoSure laser treatment works great to help get rid of that stubborn pigmentation.